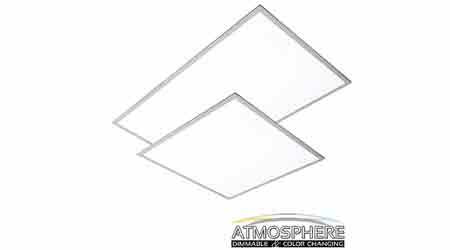 The Flat Panel LED fixture is the ideal replacement for troffers and fluorescent fixtures. This fixture provides natural shadowless light featuring superior light quality and installation flexibility. Designed to lay in drop ceilings, this fixture is the new standard in lighting commercial spaces such as offices, hospitals, schools, commercial facilities, hospitality, general purpose, and as an alternative to troffers. • Metal housing is approved for indoor use. • The design eliminates warping or bending offering level installation.